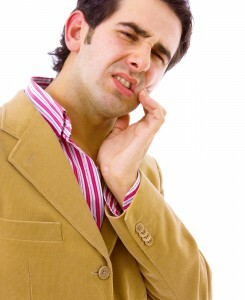 Contrary to popular belief, root canals relieve pain, not cause pain. An infected tooth causes an immense amount of pain and can be expensive if nothing is done to make it better. At Premier Family Dental, we want to make sure we take care of all of your needs, and Dr. Cofer is just the guy to do it! Having a root canal done not only helps in alleviating your pain, but it also helps your teeth. A root canal is done when there is an infected tooth, and the decay has to be removed before it gets any worse. Dr. Cofer starts your root canal by drilling into the infected tooth, and removing the pulp. When the tooth is infected, it also infects the pulp of the tooth, causing it to swell. Once the pulp is removed, Dr. Cofer will fill the tooth with a tooth-colored filling, and top it off with a crown to prevent any further damage. In the end, you’re left feeling relieved and in better health! When you leave your teeth infected, not only can the matter get worse, but it can affect the rest of your body. By delaying a root canal, the bacteria affecting your teeth can enter your blood stream, possibly causing harm to the rest of your body. It’s better to take care of your oral issues sooner rather than later before it gets any worse! If you’re interested in how Dr. Cofer can help you by performing a root canal, contact our office and make an appointment!